Dr. Antos serves as a consultant in the areas of DME applications, documentation, and clinical appropriateness. Dr. Antos has been in private chiropractic practice since 1978 in the State of Florida. 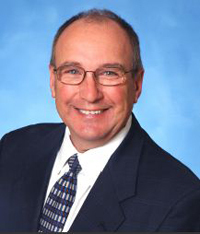 He received his Diplomate certification in 1986 in Orthopedics and has served as a Director to the Florida Chiropractic Association Board. He was an advisor to the Mercy Guidelines for Chiropractic Care (National) and was a advisor to the Legislature for Chiropractic Practice and Parameters Practice in the State of Florida. He received hospital privileges in 1985 from University Hospital in Holly Hill , Florida and served as the Medical Quality Care Chairman at that time for University Hospital. He has served as a monitor for the Department of Profession Regulation in the State of Florida and is a past President of the Flagler-Volusia Chiropractic Society. He has spoken at the Florida National Convention for medical education license renewal numerous times on subjects such as care and treatment of Down syndrome athletes, balance and falling problems, and this years convention on DME and the Use of Lumbar Bracing in Chiropractic Practice. He is currently retired from private practice in Daytona Beach, Florida. He spends his time traveling, visiting clients in all 50 States, and practicing consulting on Medicare DME credentialing and DME practice.